Smart home features are highly sought after by discriminating homebuyers today. They not only provide comfort and convenience, they can also result in substantial energy savings. 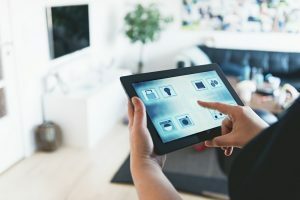 If you’re looking to add smart features to your home, or to upgrade your existing ones, take a look at the top gadgets you can get on the market today. These devices serve to centralize control of various smart home gadgets through the cloud, acting as a kind of universal remote control. The latest products on the market are voice controlled and include additional functionalities, such as music streaming, answering questions about anything, acting as a WiFi router, even ordering food delivery. In looking for smart home hubs, one thing to consider is the number of gadgets it can connect to and its compatibility with your existing gadgets. If you’re starting from scratch in making your home smart, or if you’re planning to make sweeping changes, you may want to consider installing a smart home kit, which includes various gadgets that can be controlled by an accompanying hub. This simplifies the set-up and ensures compatibility of the hub and devices. These devices can greatly help reduce your energy bills. It not only allows you to monitor and control your home’s temperature using your mobile gadgets or PC; with the right sensors, it can also adjust indoor temperatures based on outdoor temperatures and humidity, room occupancy, and your cooling and heating habits. Smart lights use LED technology, which consumes up to 75% less energy than incandescent lighting. Smart switches and lighting control will also allow you to dim your lights, turn them on and off, or change the colors using your smartphone and other mobile devices. You can also program your lights to turn on and off at scheduled times. Depending on your system, you can include 50 lights or more in an installation. Smart vacuums, or robot vacuums as they’re commonly called, now make up 20% of the vacuum market. These small helpers can save you plenty of time and effort when cleaning your house, doing things that are difficult to do with a traditional vacuum, such as cleaning hard to reach nooks and crannies without moving furniture around. When buying robot vacuums, consider how much cleaning you want from one. This can range from a simple floor dusting to heavy duty vacuuming. Look into the size of the dust bin, as well. A smaller one can mean you’ll have to empty it more often.